Gnomes, cheese, and a newsletter. This moment of ridiculousness brought to you by the letter G, and by an appeal to sign up for the newsletter. There’s a sign up box to your right. Or there’s a sign up link here. I’ve got a new pattern coming out this weekend and subscribers will be getting a better price than everyone else. In the whole wide world. 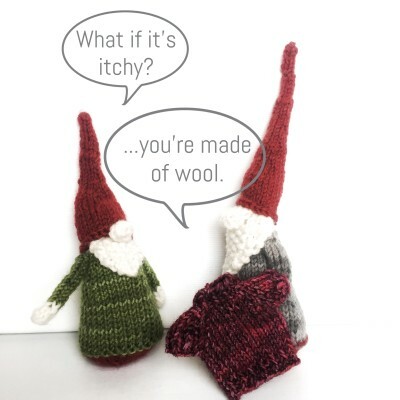 Your photo whimsy is my chuckle for the week!